Phaanu: Rich, Creamy Vegan Dal Recipe. 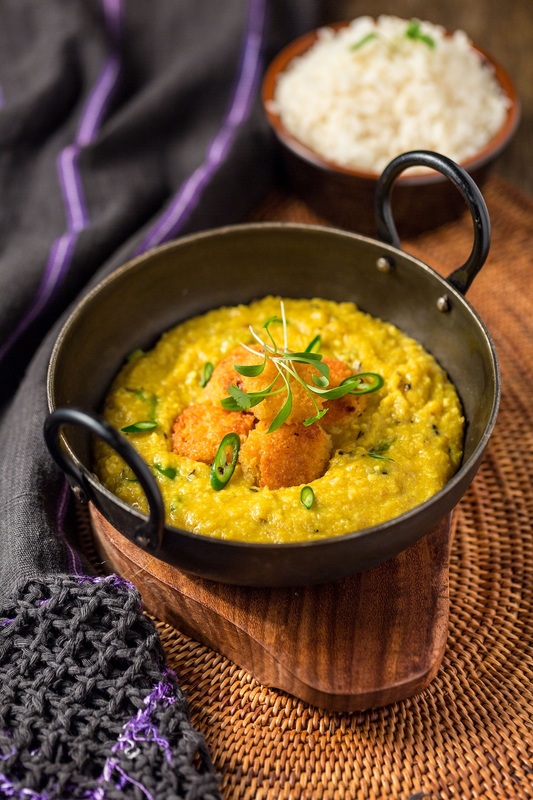 Phaanu – This rich, creamy vegan dal recipe works perfectly as an Indian main dish. Sultani Dal - A classic Indian dish, dal goes as well with hot chapatis as it does with plain boiled rice. Dal Makhani- is a rich Punjabi dal of urad gram (also known as whole urad beans or black lentils) and rajma (red kidney beans), rather than the split lentils or peas used for most dals. The name literally means “buttery dal”. Dal Saag - Split Yellow Pea And Spinach Dal. Soak the gahat daal in water overnight. If using arhar daal, soak for 1-2 hours. In the morning wash and rub the daal in running water so that it is free of seed covering (chilka). Then, grind it into a dry thick paste in a mixer or on a silbatta along with green chillies, garlic and ginger. Place a tawa on a moderate flame. Put some oil and make thick pancakes (like cutlets) from the daal paste. Use only half of the paste for making the cakes. Mix water with the remaining paste making it of pouring consistency. Heat oil in a pan and add jakhiya seeds and hing. Now add gahat paste, turmeric powder, dry coriander powder and salt. Cover and cook for about 10 minutes on slow fire. Add the gahat cakes to the gravy and continue to simmer for another 10 minutes. The gravy should have pouring consistency. If too thick, add some more water and heat until it boils. Garnish with pure ghee and chopped coriander leaves. What do you think of this Phaanu Rich, Creamy Vegan Dal Recipe? Do you fancy trying it? Recipe and image courtesy of The British Dal Festival. Are you looking for some more recipe ideas? Click here: Over 200 Recipes to try out. Join the conversation and share your thoughts in the comments below. This looks so rich and creamy, just delicious! Hope you are having a great week and thanks so much for sharing your awesome recipe with us at Full Plate Thursday!